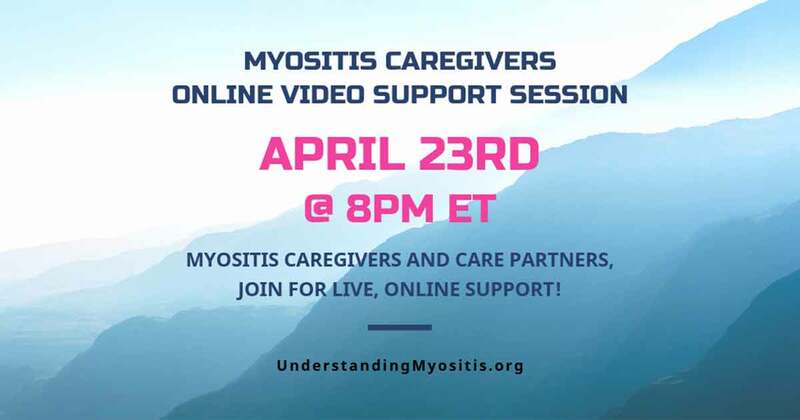 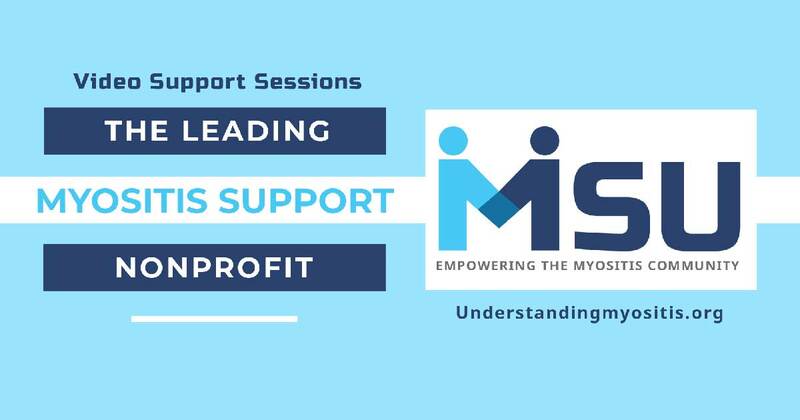 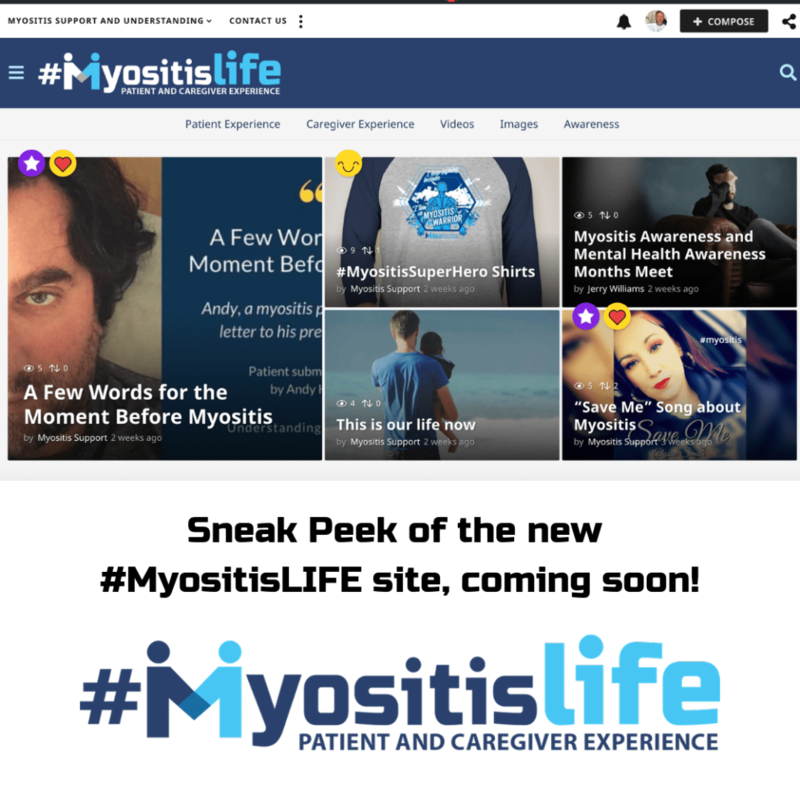 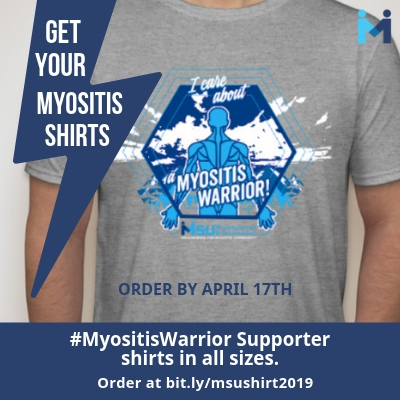 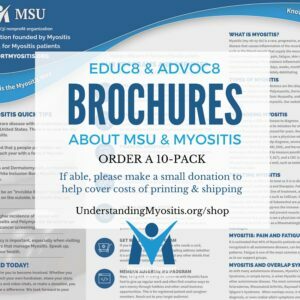 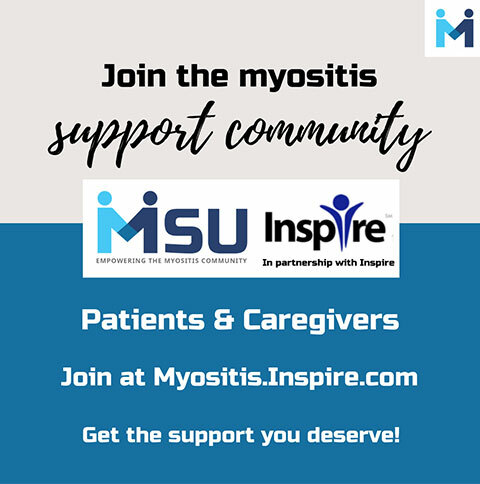 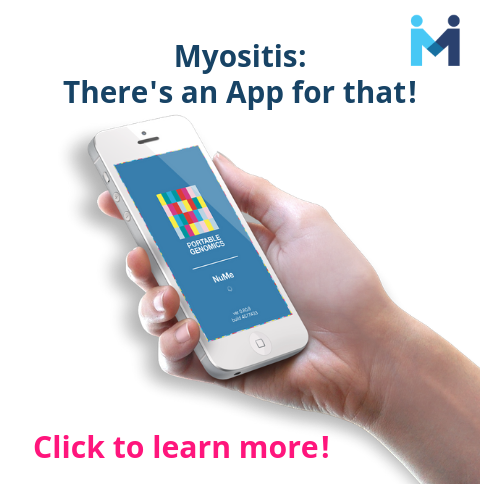 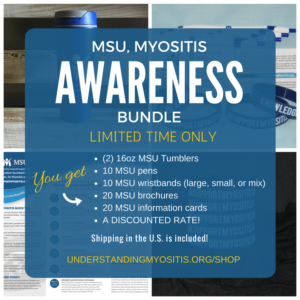 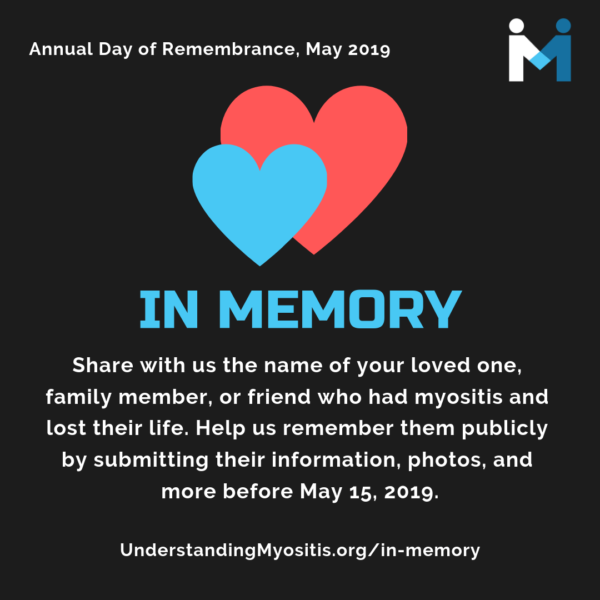 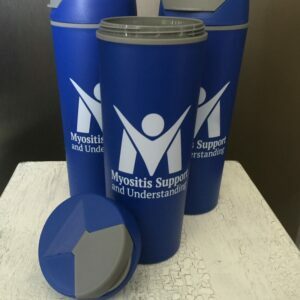 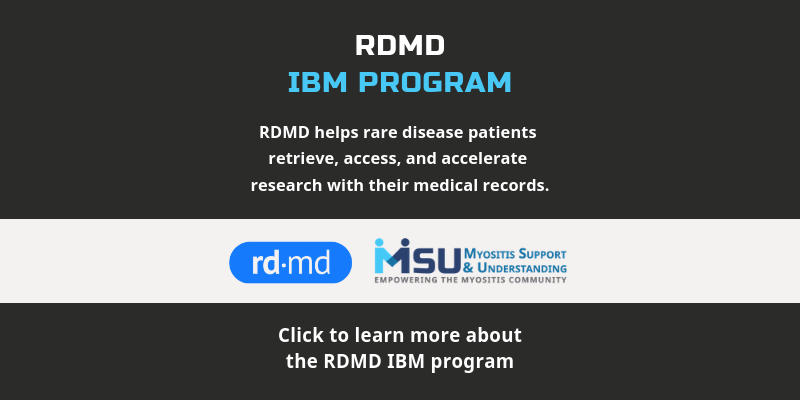 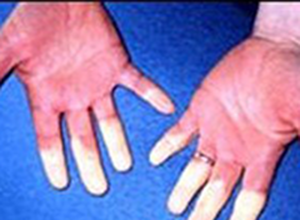 You will receive a 10-pack of Myositis information cards that include a description of Myositis, as well as contact information for our organization, Myositis Support and Understanding (MSU). 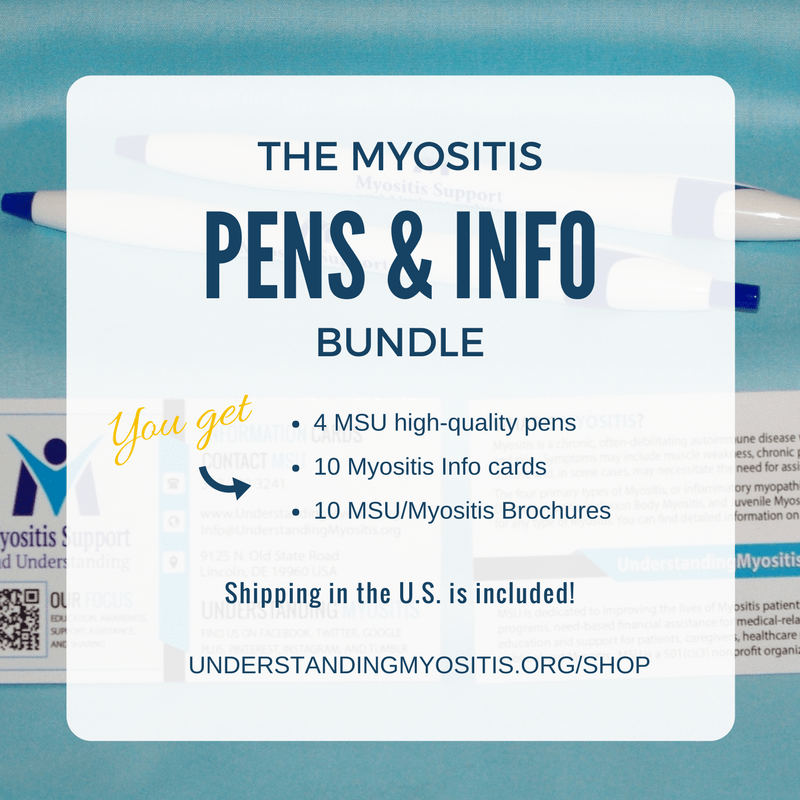 These cards are perfect to hand out to family members, friends, physicians, physical therapists, and other healthcare professionals, and even to complete strangers who ask about your illness. 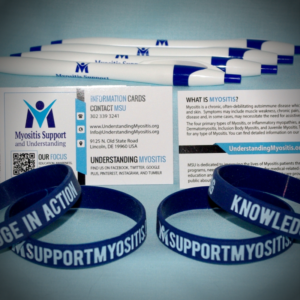 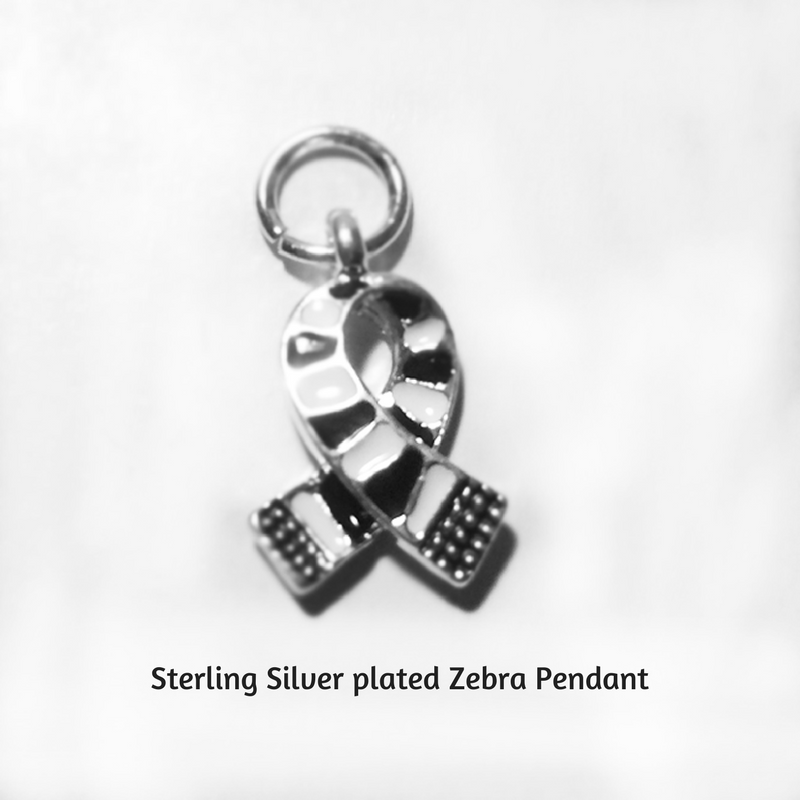 They are the size of a standard business card, so they are easy to carry. 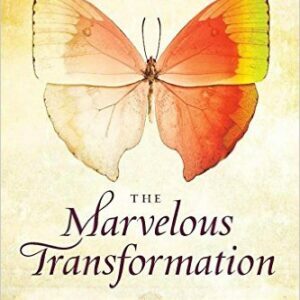 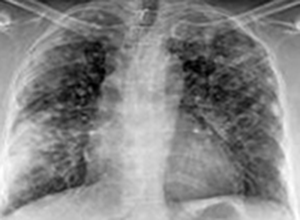 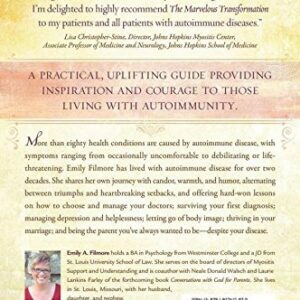 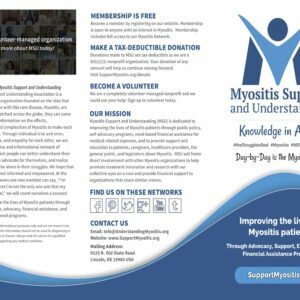 Can you help by making a donation to cover costs of printing and shipping? 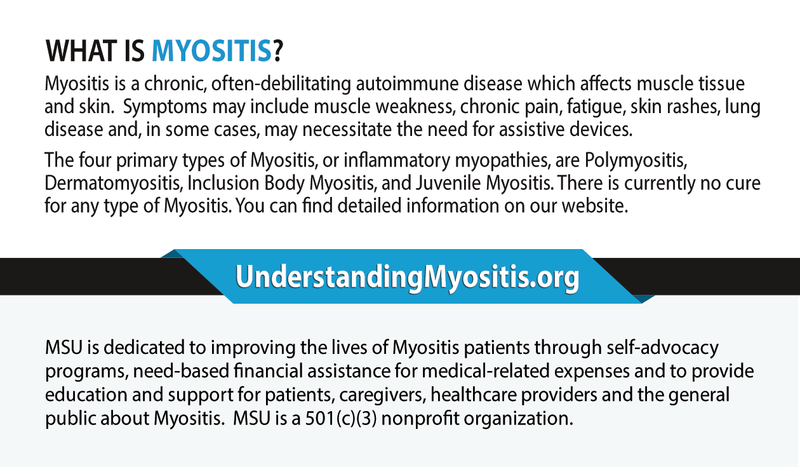 And, if you wish to make a donation of custom amount, you can do so here. 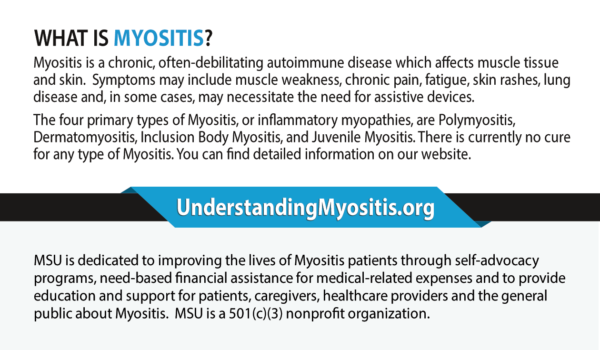 A 10-pack of Myositis information cards that include a description of Myositis and contact information about our organization, Myositis Support and Understanding (MSU). They are the size of a standard business card, so they are easy to carry. 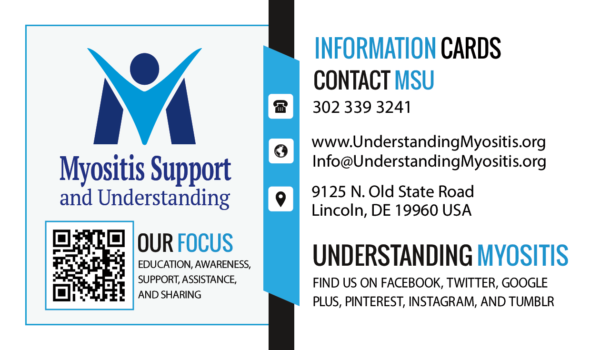 The information cards are free. 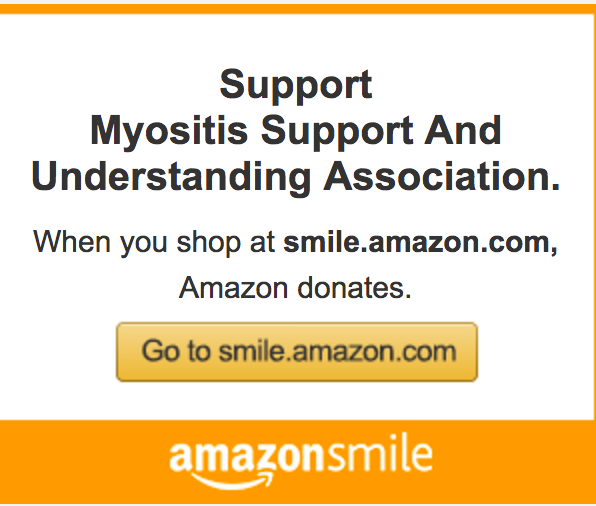 However, if you are able, could you make a donation to help cover the costs of printing and shipping?